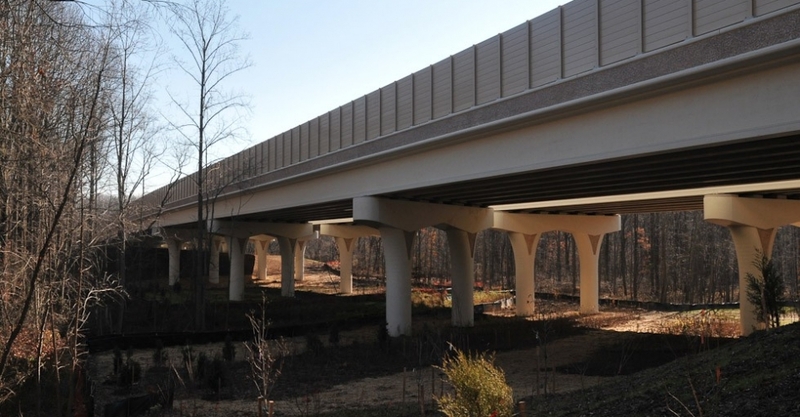 Bridges that support noise barriers require a low-weight system. 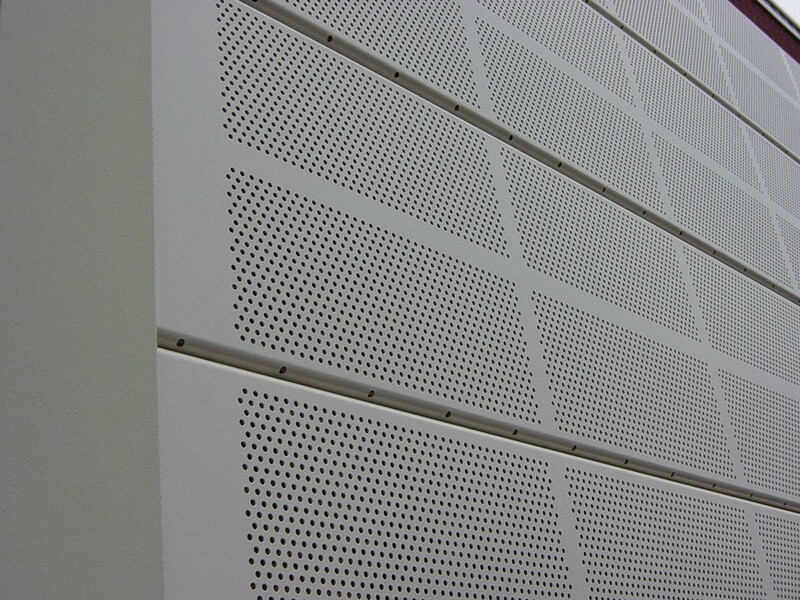 AcoustAL™ is a perforated aluminum panel system perfectly suited for this application. 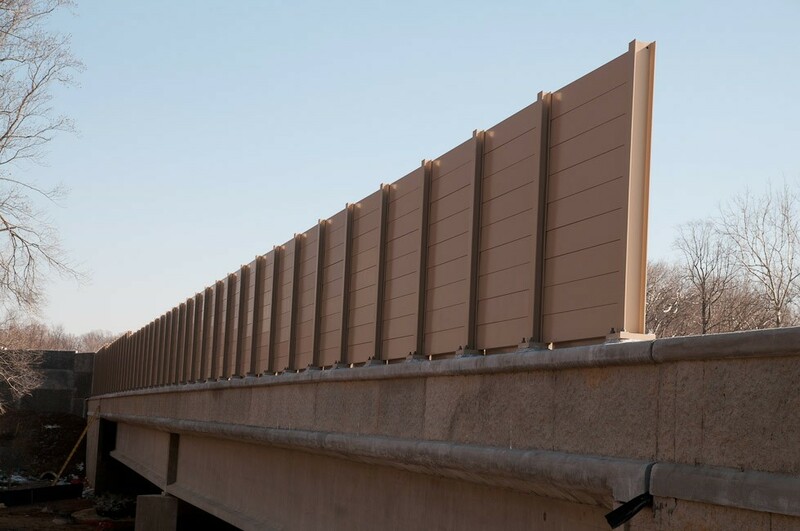 Its name combines the root word Faddis uses for its acoustical barriers (Acoust) with the symbol for aluminum (AL). 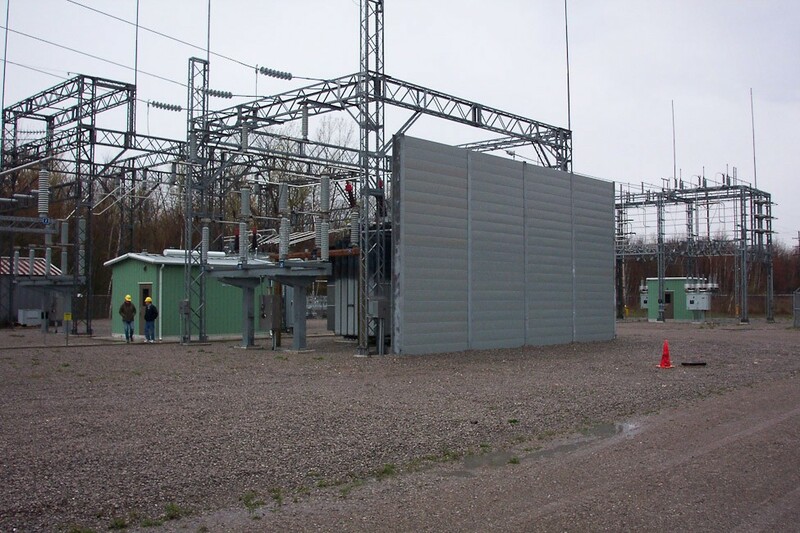 AcoustAL™ has also been installed for industrial noise control around electric transformers, chillers, and diesel-powered generator stations. 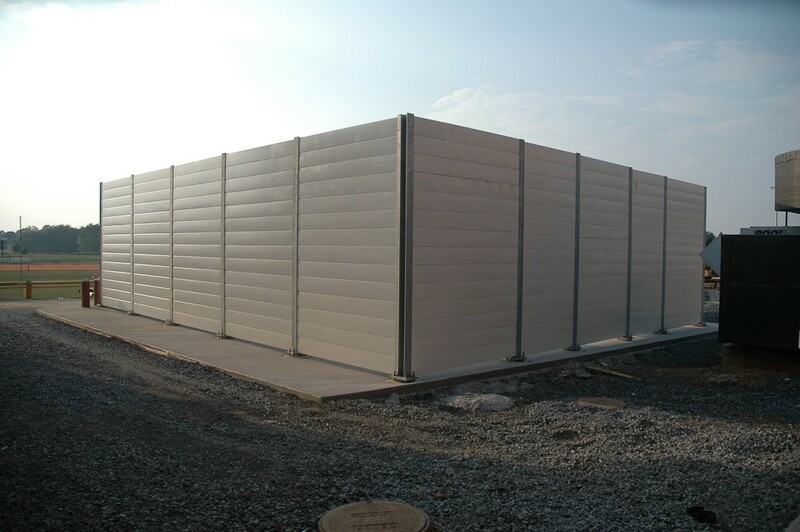 Panels can span 8 to 10 feet between posts for structure mounting or 12 feet for ground mounting. Panel weight is 3.5 pounds per square foot. 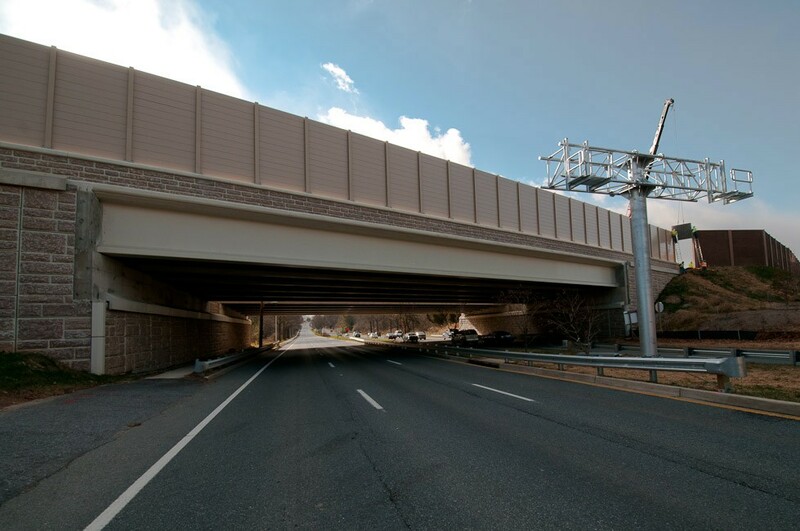 Sound absorption is NRC 1.0, measured per ASTM C 423. 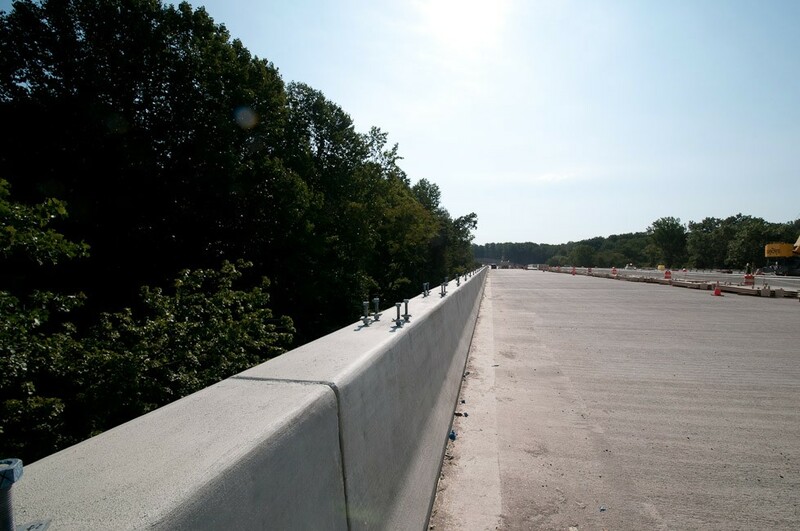 Standard panel is STC 30 per ASTM E 90 and E413. 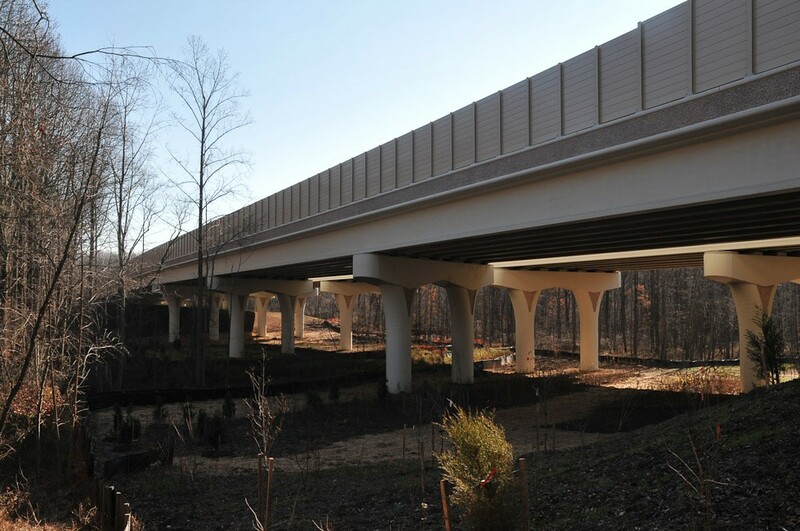 The powder coating provides a durable surface color and a wide selection of colors. 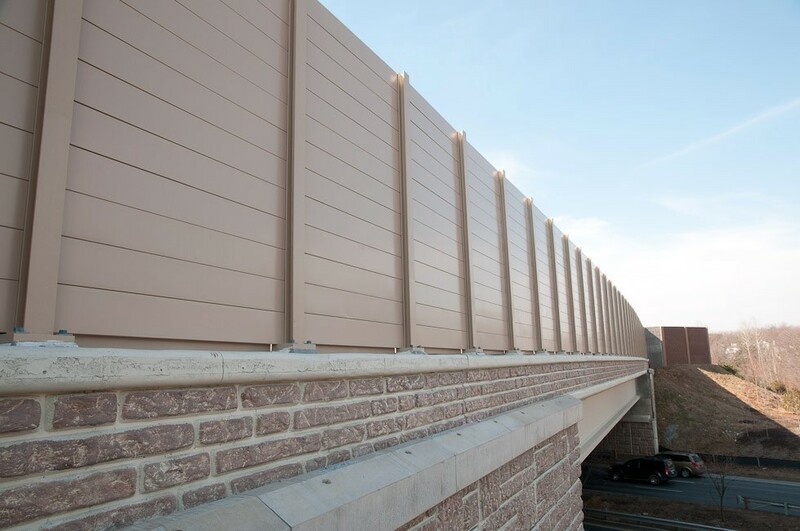 AcoustAL™ is suitable for exterior use as a surface-mounted sound absorber for existing walls. It may also be used for interior applications on walls or ceilings, especially where a durable material not subject to corrosion is required, e.g., swimming pools and wastewater or water treatment facilities. 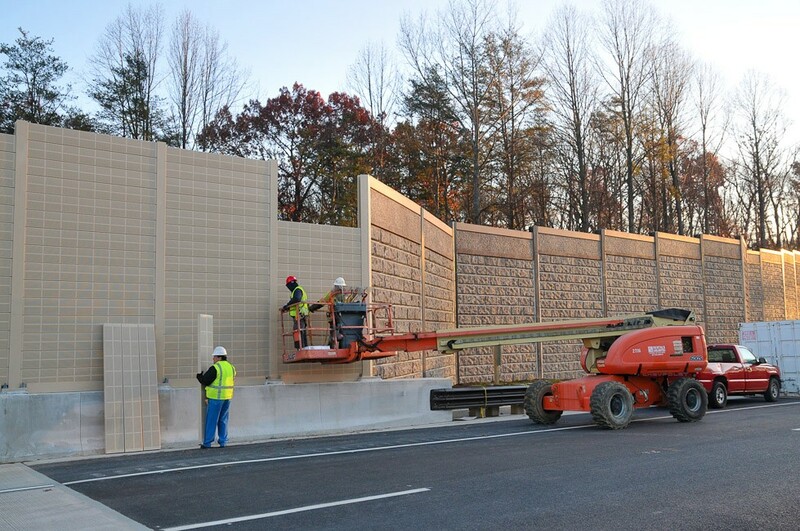 AcoustAL™ absorber panels can be fixed to existing walls to eliminate reflections using Tapcon anchors.